Sirocco Tiara by Kaya Spain Quality is a feminized cannabis seed that has its origins in the cross of a Northern Lights #5 and a Cinderella 88. 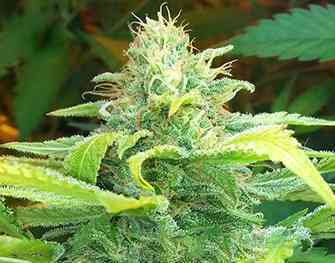 It is a medium-sized and sturdy marijuana plant that quickly and easily produces numerous compact buds completely covered in orangey pistils and a fruity aroma. Sirocco Tiara grows well both indoors and outdoors, particularly in a temperate/Mediterranean climate or in a greenhouse. In short, an incredibly potent strain whose balance will seduce every person around. The flavour and aroma of Sirocco Tiara are pronounced, sweet and fruity. It provides a potent and balanced effect of long duration.